Found out about these after the March newsletter was published and distributed. 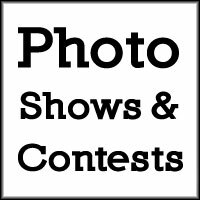 Midwest Photo Exchange contest for March is sponsored by Westcott and there are some cool lighting prizes in this one. You can see images already entered at the webpage link below. The definition of “inspired by light” is basically up to the image maker. 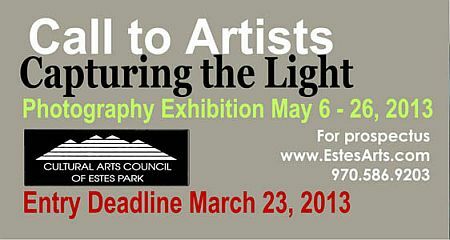 Deadline for entries is March 24 and contest details are on their website. All work must have been produced in the last 3 years. This competition is open to artists who reside in Larimer and Boulder counties; and the Denver Metro area only. Entry fee: $30 (non-refundable). Entrants may submit up to a total of 3 photographs for judging. Complete info is available on their website, or you can grab the CTL 2013 Prospectus PDF here. Visit the C4FAP website for complete info.